Kettlebell Pushups targets the outer and middle region of your chest plus your triceps and the frontal head of your shoulders. There will be minor involvement of your forearms as you need to grip the handles tight to maintain stability. 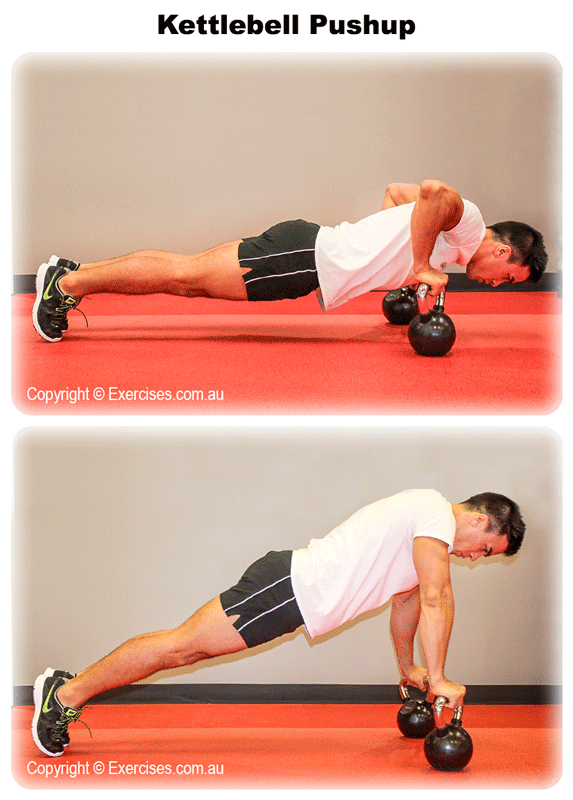 By using kettlebells, you get a deeper stretch on your chest compared to the conventional floor pushup. Place the kettlebells on the floor with the handles turned inward or facing each other. Position your body above the kettlebells, grab the handles and make sure your shoulders are directly above or in line with the kettlebells. Extend your legs out as if performing a plank, keep your feet together and press firmly against the floor for better stability. 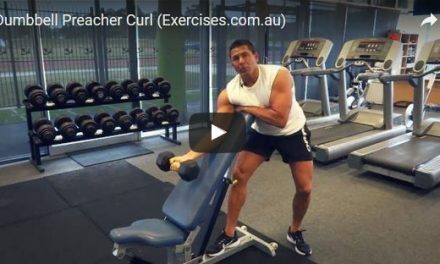 Pull your elbows in to your lats then lower your upper body slowly and under control. Go for a comfortably deep stretch. With kettlebells, you have the advantage of going deeper than you normally can with regular pushups. Tighten your glutes and abdominal muscles then pushup to the starting position. Repeat the movement until you complete your desired number of reps. It is important to tuck your elbows in when doing kettlebell pushups to avoid compression forces on your shoulder. This happens when your elbow flares out or rotates outward which causes your shoulder to rotate inward. Always keep your upper body stable and maintain good control on every rep.
As with bodyweight exercises the Kettlebell Pushup is ideal for improving upper body stability and mobility. You can get a deeper stretch by using a larger kettlebell.